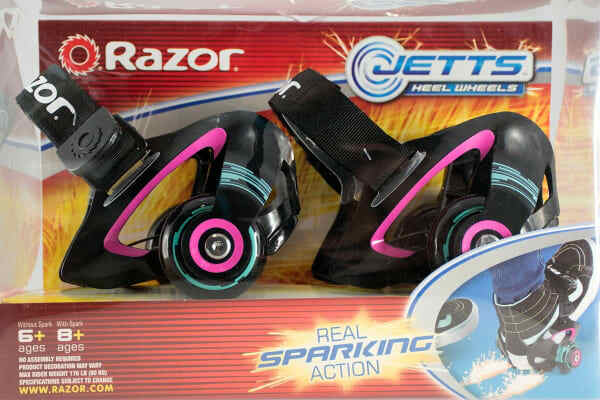 Fire up your afterburner and get your spark on with the high-flying Jetts by Razor! 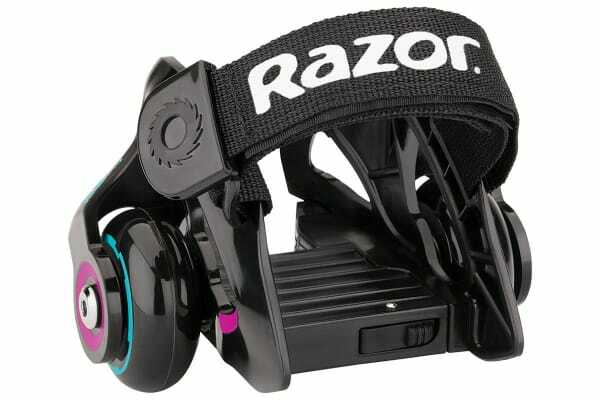 Step up, strap down, and take off with your Razor Jetts Heel Wheels! 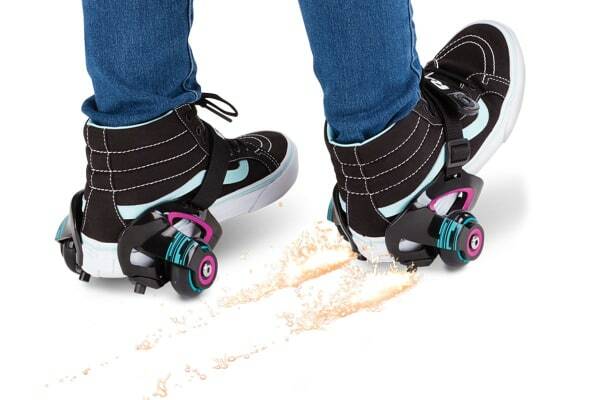 Easily adjustable and super comfortable, these wheels are an awesome way to transform your sneakers into the hottest way to roll. Simply use the ‘quick click’ frame with hook and loop strap to attach the Jetts to your sneakers and put your heel to the ground to watch the real sparking action!